On Saturday 14th October 2006, three brave souls took up the challenge of swimming from the Isle of Wight to Portsmouth, across the choppy waters and shipping lanes of the Solent. All of the swimmers survived the crossing, and in the process raised around £1000 for United Through Sport. The challengers for the event were Henry Humphreys of Failand, near Bristol, and Peter Bailey and Hugh Moss from West London. 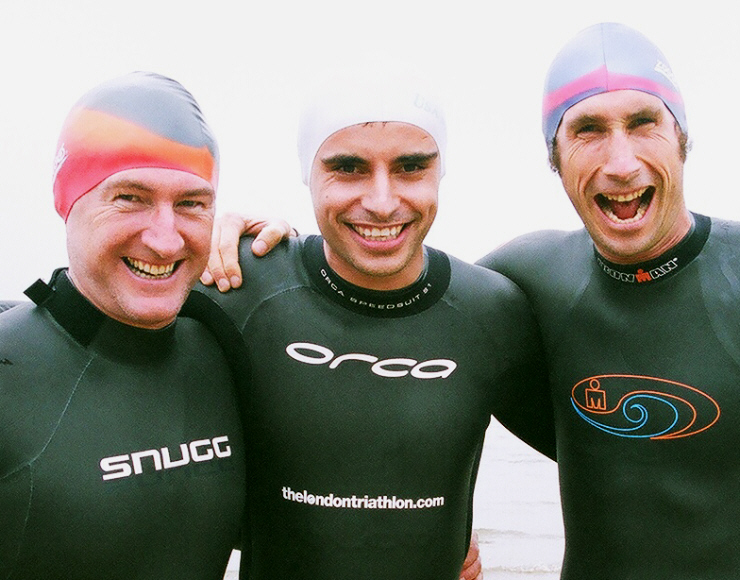 All three were introduced to each other in another mammoth swim-challenge, when they took on the length of Lake Windermere earlier in the year. Starting from Ryde on the Isle of Wight, the team swam from the shore, following the famous pier, and turning out into the open sea. After around two-and-a-half hours of continuous strokes, they reached the Portsmouth headland, completing their incredible feat of endurance. 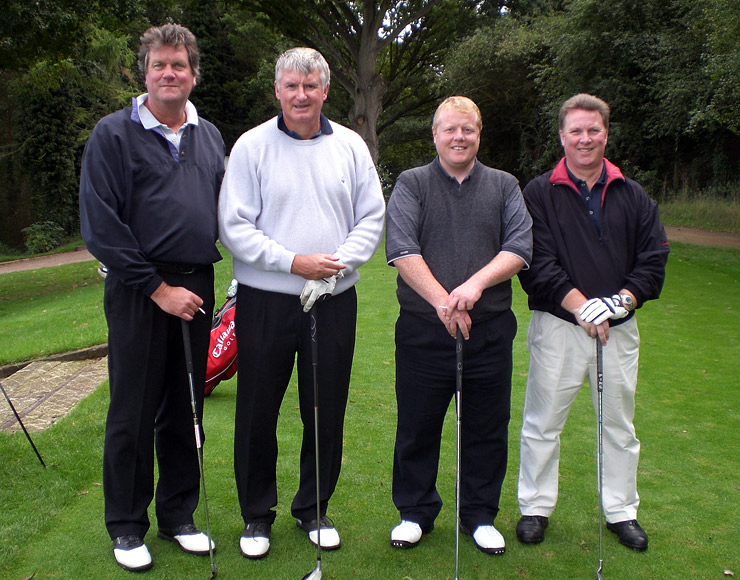 On 4th October 2006, United Through Sport held their first Charity Golf Day at the Beaconsfield Golf Club. The day was a great social and fundraising success, welcoming teams and participants from a number of big corporations including ITV, Vodafone, News International, The Telegraph, GCap and Carat. The day involved a hotly contested 4-ball Stableford competition, followed by buffet lunch, prize-giving and auction which showcased some outstanding prizes. Thanks to the tireless work of the event organiser, Karen Platt, the event raised £6000 which has subsequently been sent to South Africa to build a community sports pitch in a township school. United Through Sport would like to extend a big thanks to all the teams involved, as well as for the generous support offered by those who contributed to the day in terms of donations, prizes and moral support, not least of all GCap and The Golf Shack of Taplow. A special thanks also needs to be given to Dave King (The Telegraph) for his continuous bidding throughout the auction! Thanks are also due to the members of Beaconsfield Golf Club, for offering their outstanding facilities for the event. 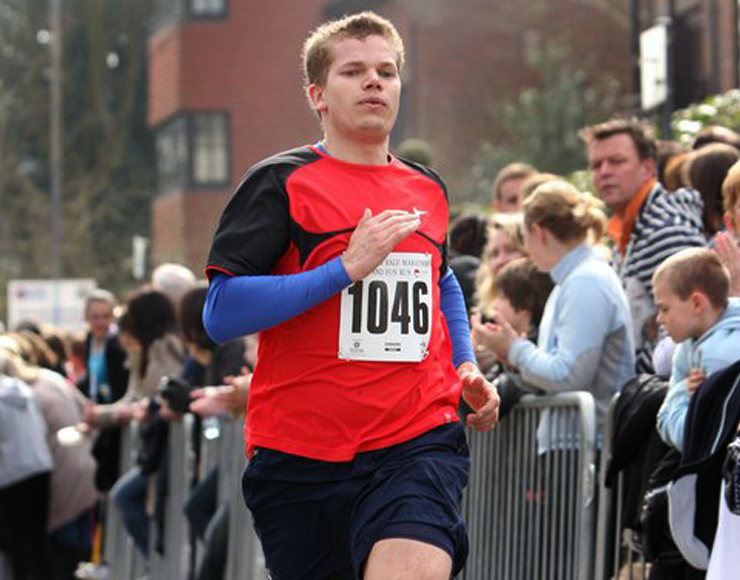 On 9th July 2006, Dan Woods and Sherden Timmins took on the challenge of the Wycombe half-marathon for United Through Sport. Many thanks to all those who sponsored the pair. 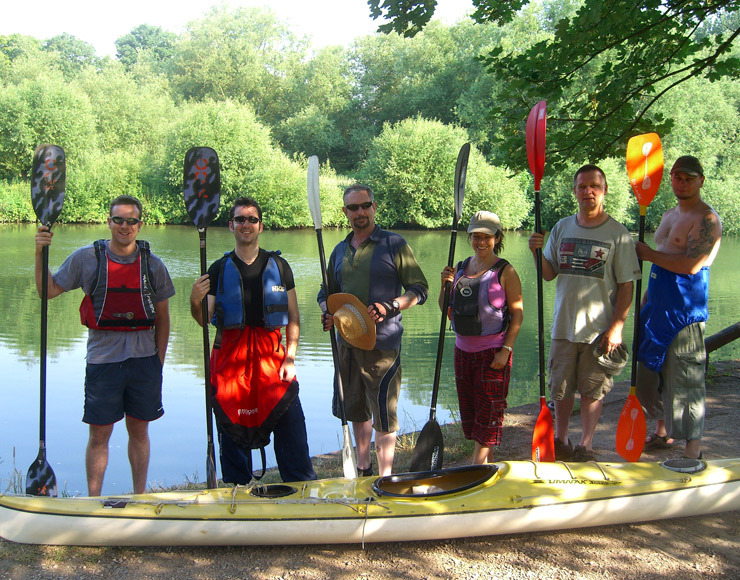 On 2nd July 2006, a group of river-hardened canoeists took to the Thames to paddle 26 miles for United Through Sport. The team took in the picturesque sights of Marlow, Bourne End, Bray and Windsor on their way to the hard-fought finish. The marathon event raised over £400 for the charity. Many thanks to the Marlow Canoe Club for all their support. The plane is slowly gaining height and taking an age to reach 10,000 ft. I am terrified. My last chance to escape; but I can’t. My pride won’t allow it… and the fact that I shall be raising a lot of money for charity. Five months ago, I gave a talk to a group of 80 women. 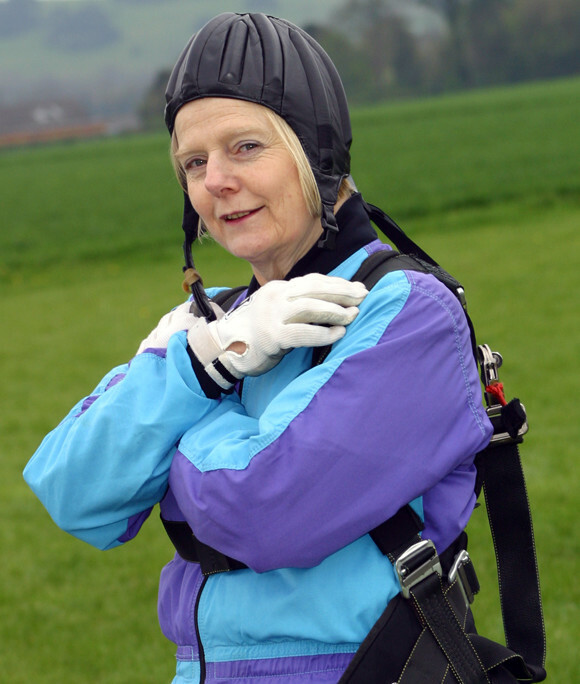 I mentioned that I wanted to do a skydive for charity and about half the people there signed-up to sponsor me. Now the day has dawned after a night with little sleep. I had been hoping to jump early but fog prevented this. It’s almost time to go. The door is pulled back. I am the first to jump. 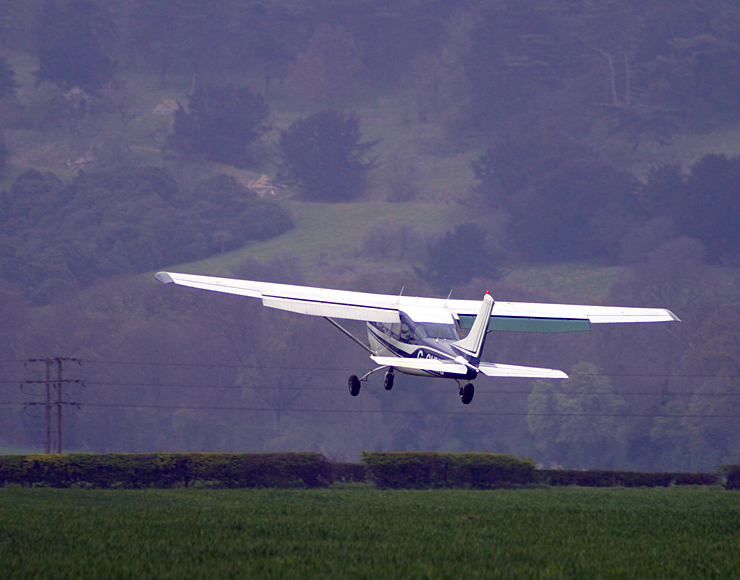 I wriggle forward to the edge – my instructor pushes me over the side. 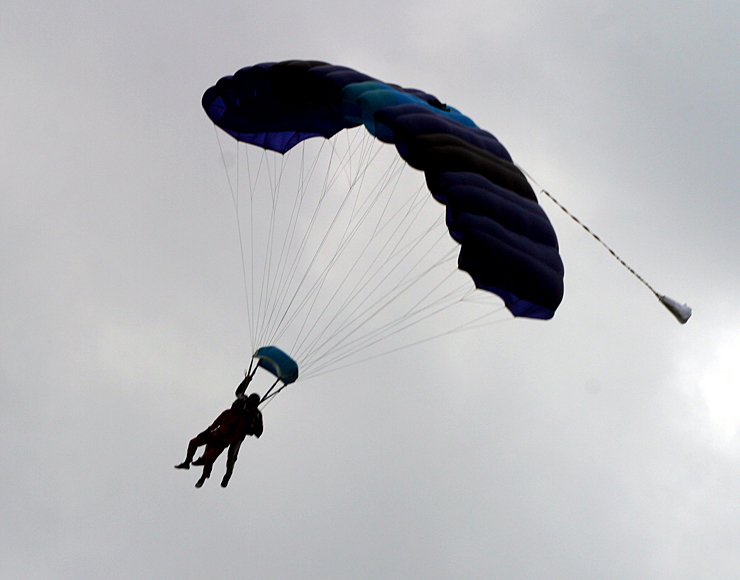 Suddenly, we are falling, free-falling at 120 mph. I am upside down and not liking it at all. The G-force is intense. 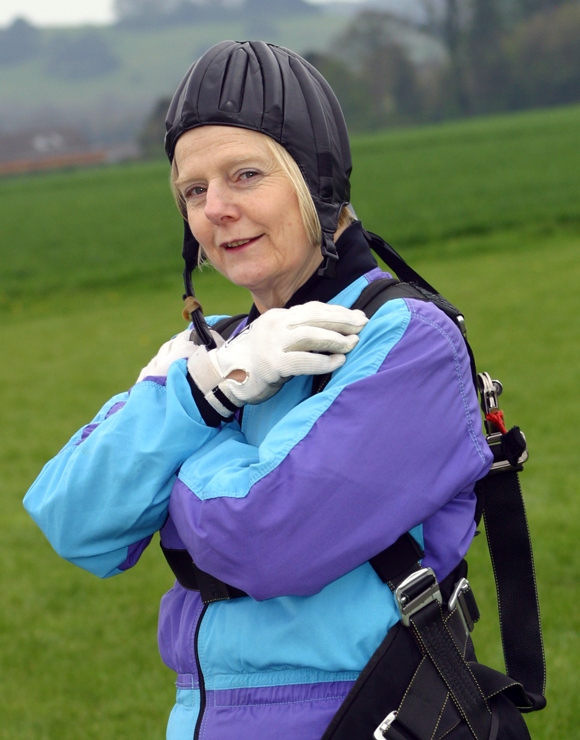 My instructor pulls the cord and the parachute opens. We drift down slowly, peacefully, calmly, chatting together as we drift over the Buckinghamshire countryside. All too soon, we are rapidly coming into land and I try to remember the instructions so I don’t break any bones – mine or his! We are on the ground. It is over. I am relieved, thrilled, exhilarated… Would I do it again? Yes. 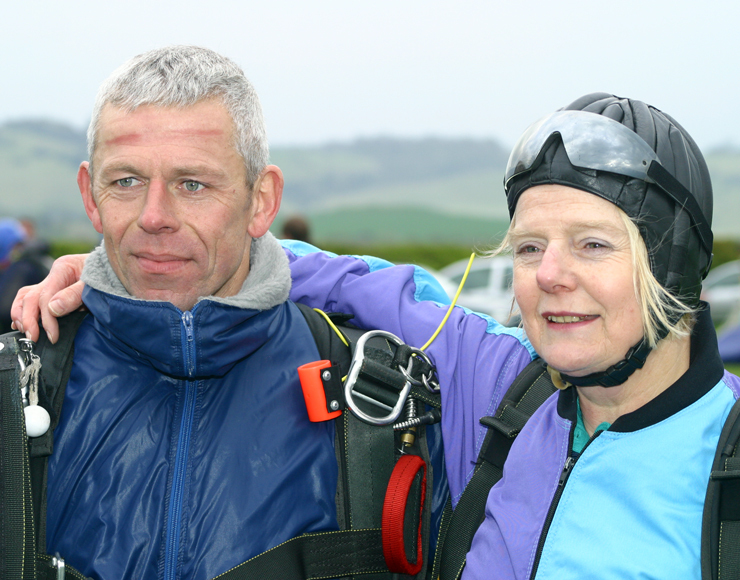 It was very nerve-wracking but very, very exciting, especially for someone approaching 60! Best of all, I raised over £1,000 for a very worthwhile charity, United Through Sport. Thanks to a genius spark of imagination and a very different slant on travel writing, Emily Monk, a Ghana volunteer, has raised nearly £3000 for United Through Sport. Her book ‘Don’t Tell Mum: Hair-raising Messages Home from Gap-year Travellers’ has been selling like hotcakes, and she has generously donated a large sum to the charity to support community development overseas. The brilliant book reads as a series of real-life emails written by gap-year travelers, updating their friends and family on their exotic adventures. Where once the news of a fresh tattoo, the purchase of a gold Mercedes or a village chief’s proposal of marriage would have had to wait until a traveller’s return, those left at home are now able to follow every trial and tribulation of their loved one’s attempt to ‘find-themselves’. 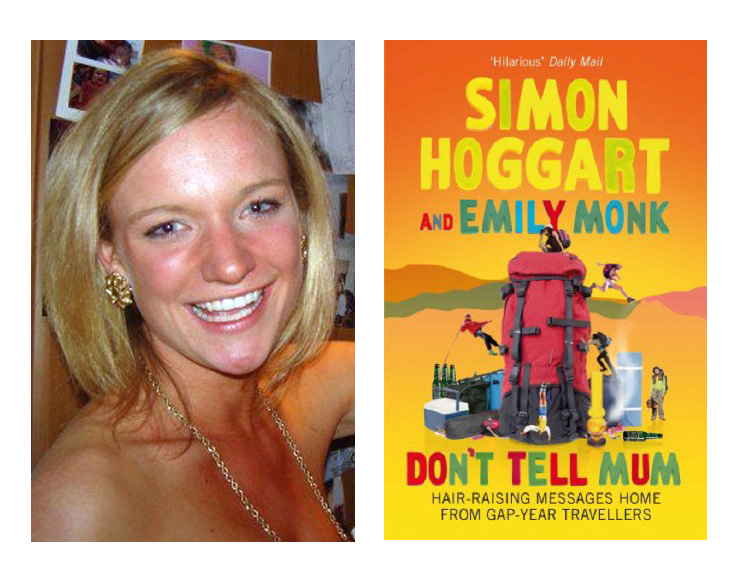 Together with Simon Hoggart, Emily has collected together the funniest, most surreal, most alarming gap-year e-mails into a treasure-trove of correspondence. Accompanied by their wicked commentary, Don’t Tell Mum invites us to live the gap-year experience without even having to leave the country. 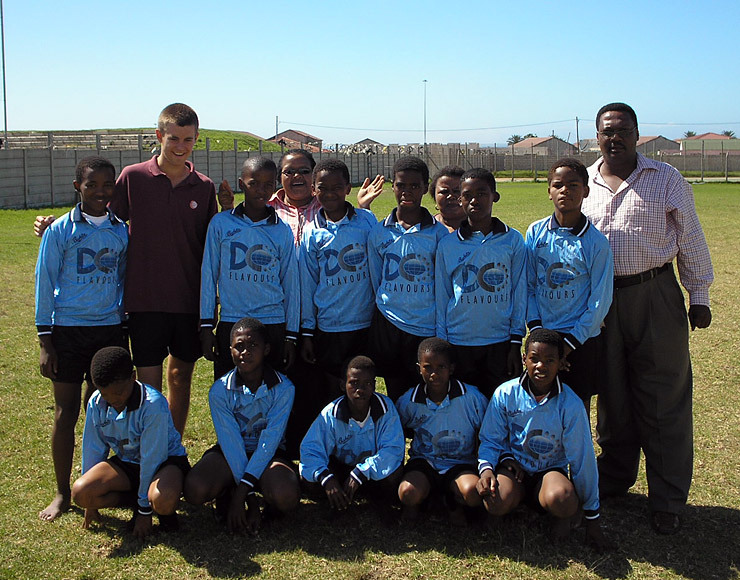 A local township football team on the famous South African Garden Route was this month fully equipped with crucial kit thanks to a £500 grant from United Through Sport. 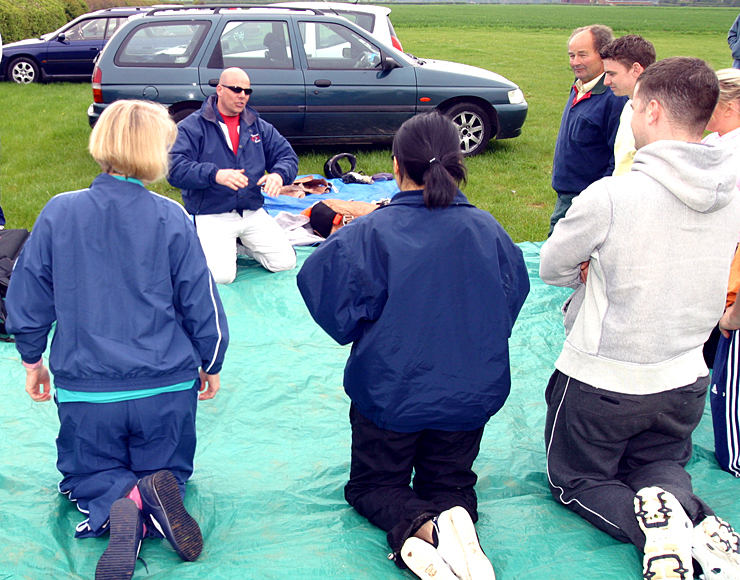 The team is a vital social lifeline for a group of poverty-affected children between the ages of 8 and 13. With the help of the charity, a 14-strong squad has now been provided with numbered jerseys, shorts, socks and 10 training balls to sharpen their skills. The donation was made with the assistance of Ashley Wentworth and Stormsriver Adventures, and the equipment was handed over with a fantastic reception from around 70 local supporters.